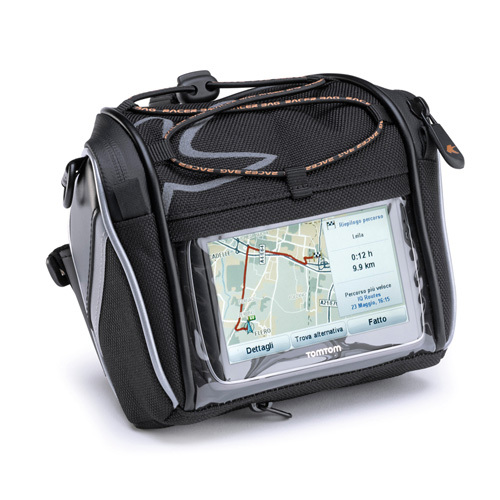 Compact GPS system carrier, that can be adapted to the majority of GPS devices and to the most types of mobile phones equipped with navigation software. Waterproof zippers and waterproof cover included. Material: polyester 1680D with finishes in syn leather and silver metallic net. Mounting kit: adjustable and universal hook and loop fastener straps for attaching the carrier to the bike or scooters.